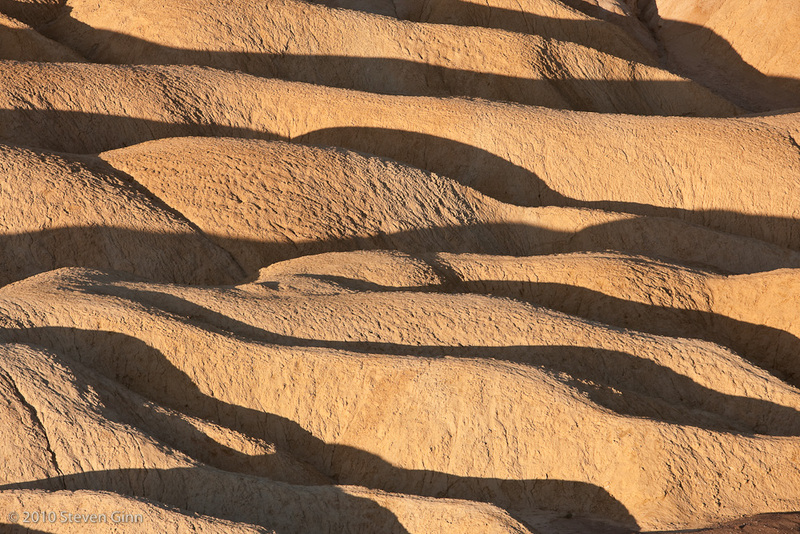 I woke up early this morning and made it to Zabriskie Point for sunrise. I am not sure I'm overly excited by it but below is the image I liked the best out of this mornings shoot. 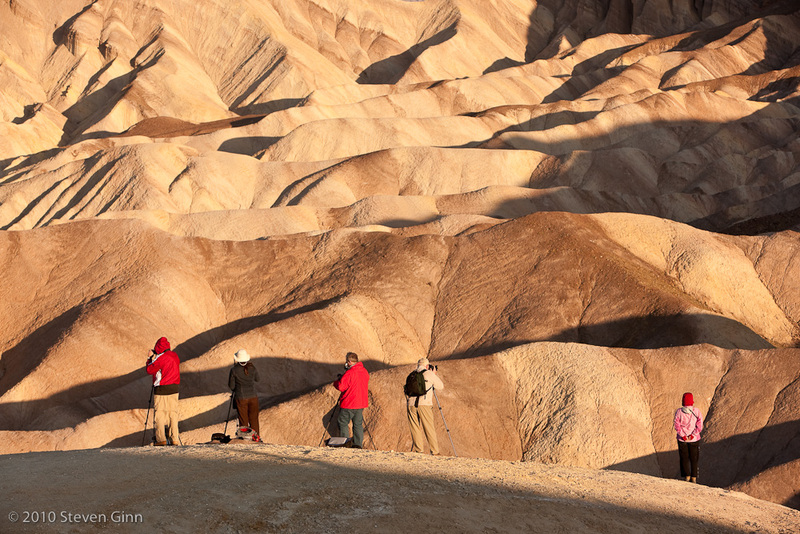 As you can tell, see below, I was not the only one up early to catch sunrise at Zabriskie Point. There were many more not in this shot. We decided to visit the Wildrose Charcoal Kilns today. Below is a photo of Nemo Canyon as we travel on Emigrant Canyon road headed towards the kilns. We were at a high elevation again and the temperature was down to 48 degrees. 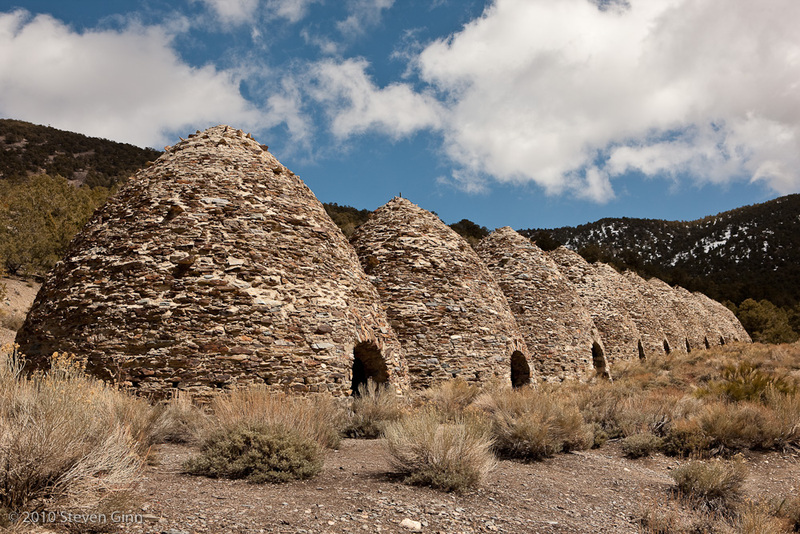 After a long drive out into the middle of nowhere we arrived at Wildrose Charcoal Kilns. These kilns where used by the miners and had to be at this high elevation just so they had a supply of wood. Once you get lower there are no trees. I was surprised at how good a shape these are in, it looked like they could be used again if needed. 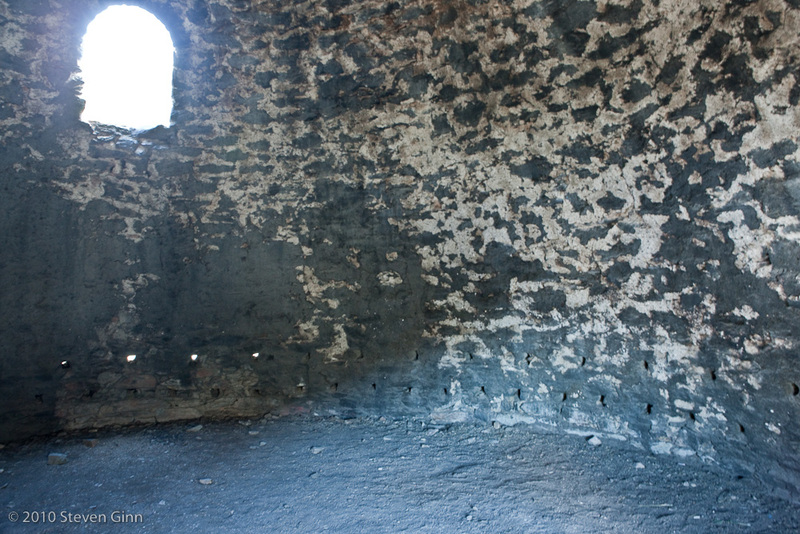 Below is a shot of the inside of one of the kilns. After leaving the kilns we continued on a unmaintained road towards Panamint Valley. It was an interesting drive because the road was sort of half paved due to it no longer being maintained, so it felt like driving on an abandoned road. After reaching Panamint and seeing and hearing fighter jets fly very low up the valley on training missions, we scouted out Darwin Falls. However, once we had driven as close as we could we decided to not take the hike out to it this time, so no pictures. 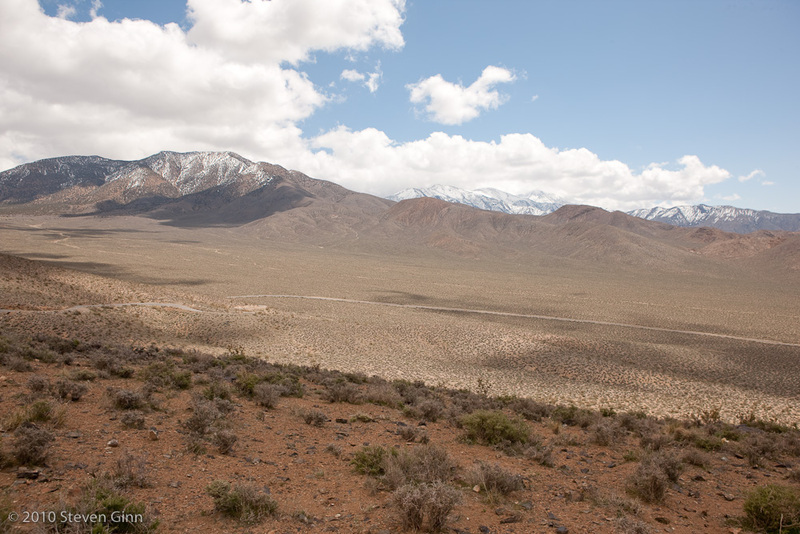 We then started heading back towards the park and just to be complete in our dune quest, we drove a couple miles in towards Panamint dunes, shown below in a wide shot looking at the north end of Panamint Valley. Even if we had driven as far as we could go on the road, which would have taken a long time due to the rough nature of the road, we would still be four miles from the dunes. 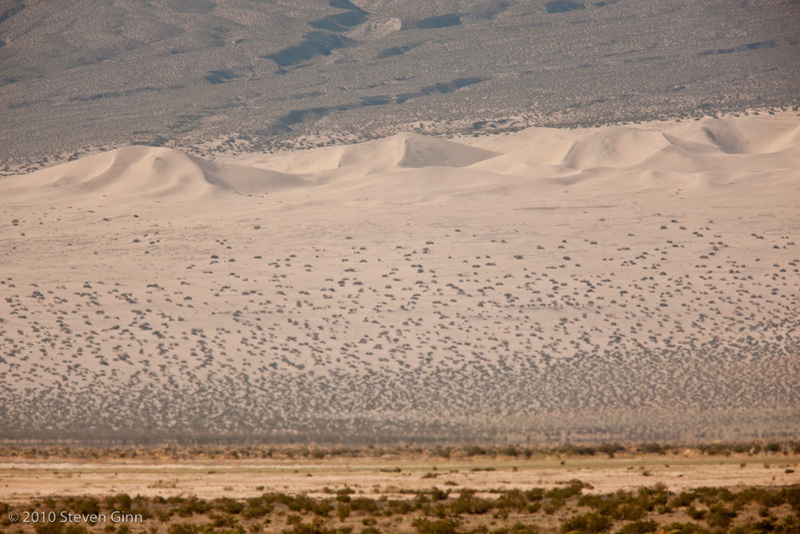 Below is a closer shot of Panamint Dunes that I took after borrowing Rusty's 400 mm lens with the addition of a 1.4 extender on as well. The reason the shot is not sharp is mostly due to the heat distortions. Below is the last dunes I know of inside the park, Mesquite Dunes. 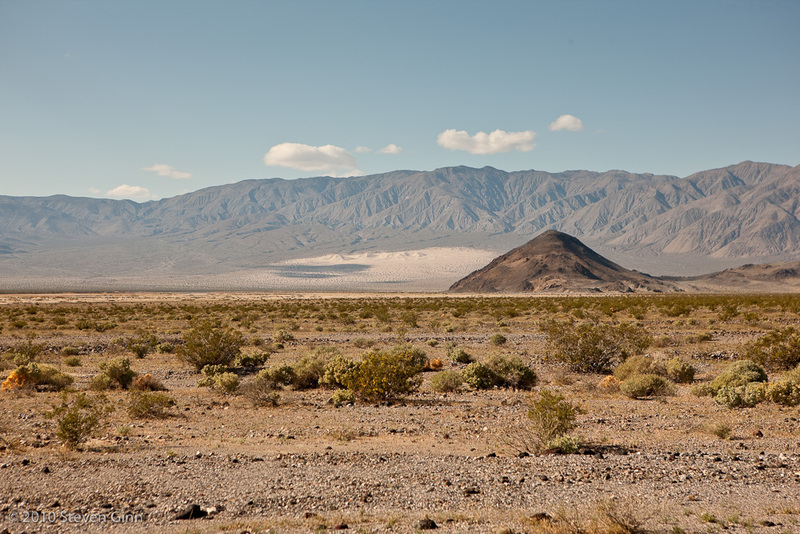 They are the most popular since they are very close to the main road and near Stovepipe Wells. 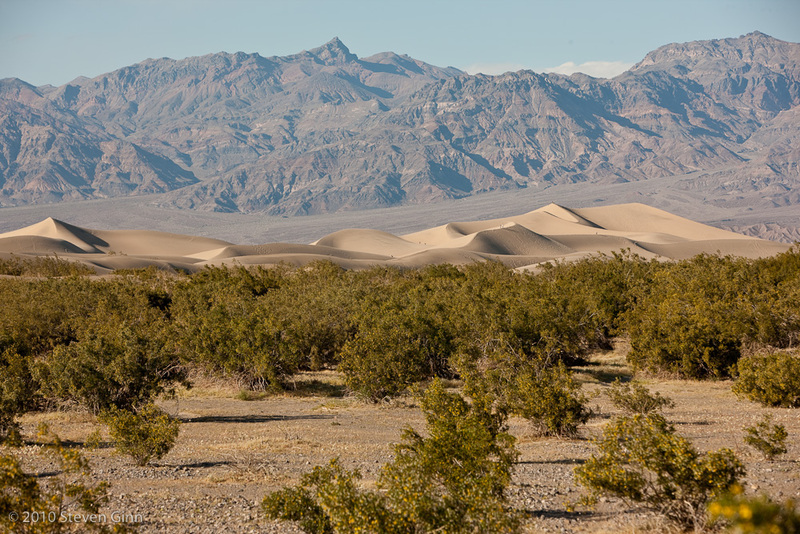 We will be spending Thursday night at Stovepipe Wells so maybe I'll hike out to the dunes that day. If you look closely you can see a number of black dots on the dunes, those are all people. You can also see a lot of foot tracks across the dunes. Since sunset was close, we drove back south, past Furnace Creek, to do the drive through Artists Drive at sunset. On our way there, just a couple miles south of Furnace Creek, we saw our first large animal sighting, see below. Rusty's camera was already set up with his 400 mm lens, 1.4 extender and using his 1DMkIV camera which has a 1.3 multiplying factor, so he had an effective focal length of 728 mm ready to go. So we were lucky to catch this coyote. 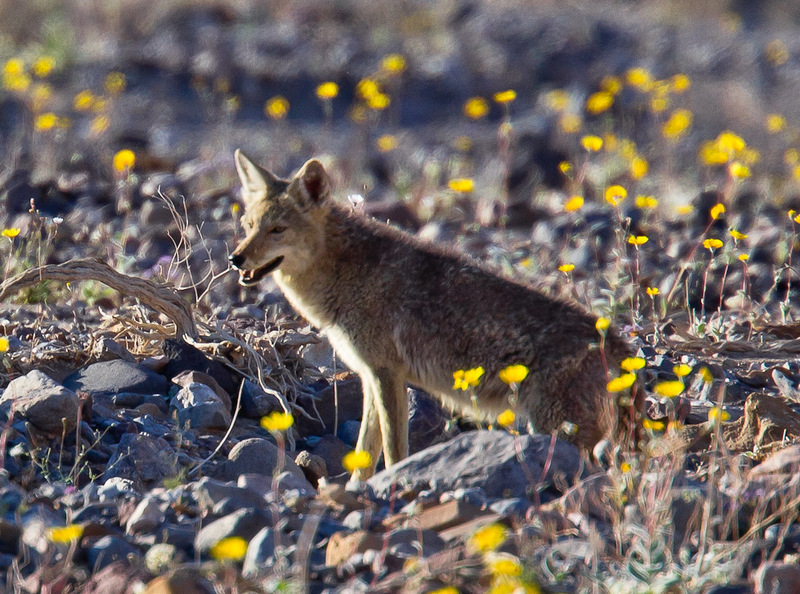 It is so dry and hot out here I think it's surprising that a coyote can survive. After photographing the coyote we did the drive through Artists drive but we were not inspired enough by anything to take any photos of it today. So we headed back to the Ranch for dinner. For dinner I had Pecan Encrusted Pork Medallions. Tomorrow we head out to Racetrack Playa and we are planning on camping Wednesday night near there.